Subject to correction, the product was first added on 2018-04-16 16:25:16 and the last date we have for this product is 2018-06-19 09:33:59, where the last unit was sold for R 100565, which may have been a final clearance price. Microsoft WinSvrDataCtr SNGL SASU OLV NL 1Y AqY3 WinSvrStd AP 2Proc, Corporate, SA Step Up, Non-Specific, Windows Server Datacenter, Open Value Copyright © 2019 ComXpert International CC - COPYING IS ONLY ALLOWED FOR THE PURPOSE OF SENDING US ENQUIRIES. E&OE. © Respective owners and brand holders. © 2019 ComXpert International CC. The contents has been generated by ComXpert International CC (//www.computerstore.co.za). All products are sourced locally in South Africa and the warranty is that of the local supplier only. E&OE. The best price and guaranteed service and backup from official computer suppliers in South Africa for the P71-07011 Microsoft WinSvrDataCtr SNGL SASU OLV NL 1Y AqY3 WinSvrStd AP 2Proc. 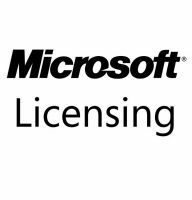 Find related P71-07011 Microsoft WinSvrDataCtr SNGL SASU OLV NL 1Y AqY3 WinSvrStd AP 2Proc products in our Microsoft Licensing Category for even more options. Read reviews and find out about P71-07011 Microsoft WinSvrDataCtr SNGL SASU OLV NL 1Y AqY3 WinSvrStd AP 2Proc. Discounts, specials and cheap prices only at ComX Computers.